Dr. Richard P. Gangwisch, D.D.S., M.A.G.D., A.B.G.D. Dr. Gangwisch earned his Doctor of Dental Surgery degree from Ohio State University in 1977. He is currently a clinical assistant professor at the Augusta University Dental College of Georgia teaching clinical dentistry part-time to senior dental students. He served as a dental officer in the United States Navy for two years after graduation, and opened his practice of cosmetic, sedation and family dentistry in Lilburn, GA in 1979. He was a part-time clinical instructor of operative dentistry at Emory University's School of Dentistry from 1979-1988. He received his fellowship from the Academy of General Dentistry in 1991. He has volunteered his time at the Ben Massell Dental Clinic for indigent care since 1983. In 2002, Dr. Gangwisch earned a Mastership from the Academy of General Dentistry. This award is earned by completing over 600 hours of continuing education in the various disciplines of dentistry. In 2007, Dr. Gangwisch attained board certification from the American Board of General Dentistry. This award is earned by taking written and oral examinations and presenting actual cases performed to exhibit proficiency in all aspects of dentistry. Board certification is an award that has been bestowed on relatively few general dentists. In 2012, Dr. Gangwisch was honored with the Lifelong Learning and Service Recognition award from the Academy of General Dentistry. This prestigious honor is given to dentists who have attained Mastership and have continued their commitment to continuing education and have donated a significant amount of time doing volunteer dental work. Dr. Gangwisch has been married to the former Lori Hanna since 1977. They have two sons, Jason, born in 1981 and Steven, born in 1984. Dr. Gangwisch spends his free time coaching youth baseball and playing tennis. Dr. John D. Hulsey, D.M.D., F.A.G.D. Experience and education matter in the quality of dental care you receive. Dr. Hulsey has practiced dentistry since 1994 with all but two of those years right here at Killian Hill Dental Care. Dr. Hulsey earned a BS in Biology from Emory University in 1988. He then earned his Doctor of Dental Medicine degree from the Medical University of South Carolina in Charleston in 1994. He earned a Fellowship with the Academy of General Dentistry in 2018. This is in recognition of his commitment to quality patient care through attending over 500 hours of continuing education courses in various dental disciplines, and achievement through testing his knowledge in these subjects. He has been a regular volunteer at the Ben Massell Dental Clinic for indigent care in Atlanta since 2003. 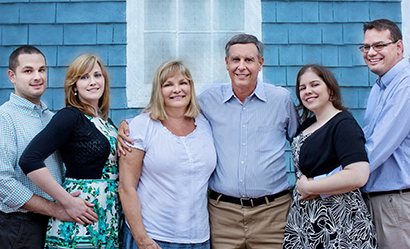 Dr. Hulsey has been a native of Lawrenceville since 7 years old, with exception of his dental school years. He enjoys spending time with his wife Lauren, playing bluegrass music, bicycling, and fishing. Dr. Racquel Lewis Vaughn, D.M.D. 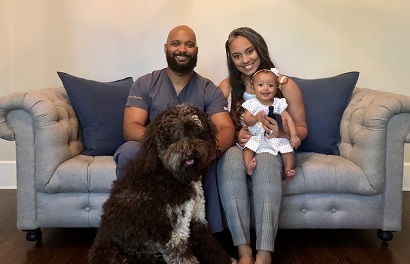 Dr. Vaughn’s passion for dentistry started at a tender age, her interest peaked as a result of her monthly visits to her orthodontist, in addition to her regular visits to her general dentist. In 2006 she earned her Bachelor of Health Science from the University of Miami. She soon thereafter earned her Doctor of Dental Medicine from The University of Florida in 2010. Dr. Vaughn believes strongly in the value of Continued Education. She routinely commits to advancing her knowledge and skills in dentistry in several fields including: Implantology, Orthodontics, Cosmetics and Laser Dentistry. Dr. Vaughn participates annually in several community service events including Dentistry from the Heart, and Give Kids a Smile. She is a dedicated clinician who believes in providing a comfortable environment which facilitates listening to, and connecting with each patient. She is devoted to treating every patient as if they were her own family. Her ultimate goal is to ensure you leave her chair feeling more confident about your smile, and overall dental health. 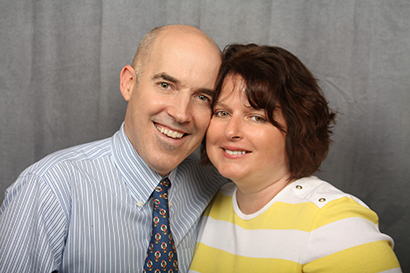 Dr. Vaughn is married to her husband who is a practicing physician. They have a beautiful daughter named Zoë, and a fun loving Labradoodle named Sebastian. Dr. Vaughn’s favorite place is the beach, she enjoys traveling, cooking, live music and attending just about every Falcons game in addition to several Braves and Hawk’s games.